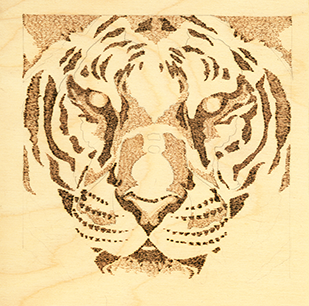 Perfect your wood burning skills with this tones technique project! 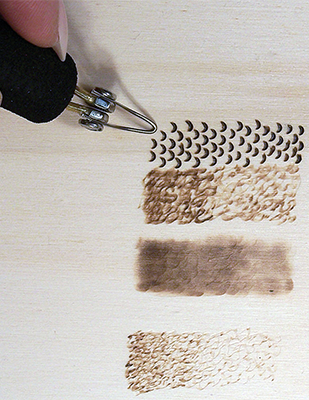 Pyrography, derived from Greek for “fire writing”, has been around since fire itself. 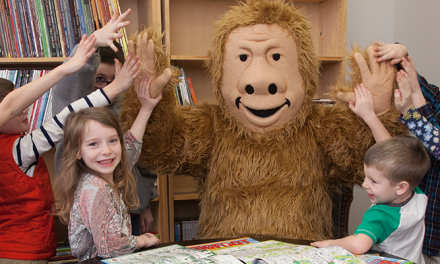 While there isn’t hard evidence, it’s quite likely that cavemen etched the walls of their caves with fire sticks. 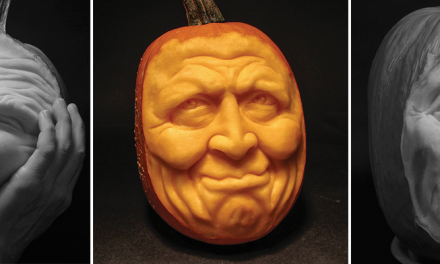 Today, it’s primarily done on wood with a heated pen, it’s been done and continues to be done on leather, clay, bone, and even gourds. Once you get the hang of it, wood burning is very similar to drawing with shading, hues, and tones. 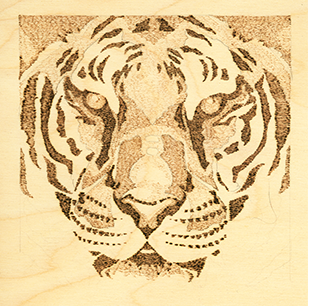 Perfect your fire writing skills with this Bengal Tiger tones technique project! Dark tonal value. After tracing the pattern to the wood, I worked my dark tonal values using a medium-high temperature setting. For my unit, that is a setting between 6 and 6.5 on the dial. 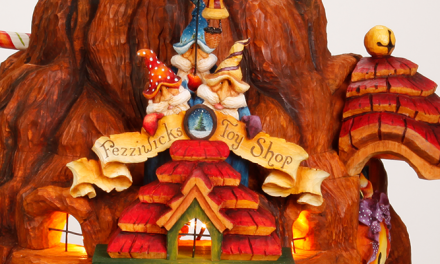 I used a tightly packed short line stroke that was worked with the direction of the wood grain. As I worked, I moved the tooltip in a slow, smooth motion across the wood. 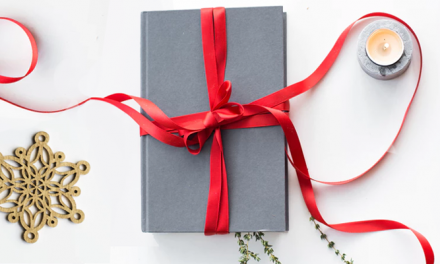 The slow motion, tightly packed strokes, and medium-high setting gave me an even deep brown tonal value. Scrubbie stroke. The scrubbie stroke is made with a quick back-and-forth motion. The number of small scrubbie lines, the temperature setting, and the number of layers of burning determine the tonal value. Medium tonal value. To lighten the tonal value in the next areas to be burned, I turned down my temperature setting to just below 6, a medium setting for my unit. Otherwise, I used the same slow movement with the grain to burn the tightly packed short line strokes. The simple adjustment to my temperature setting created a new tonal value of medium brown. Short strokes. Because the scrubbie stroke uses very short lines, there is a large amount of overlapping in any one layer of work. 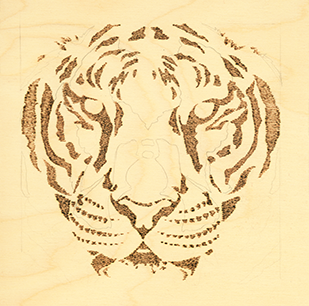 The overlap creates small dark spots and extra dark lines—perfect for a tiger’s fur. Working the stroke with the grain of the birch plywood adds to the fur effect. setting for my unit. I increased the speed of my burning motion, which kept the tooltip on the wood for a minimal amount of time. I also allowed more space between each short line stroke. This small amount of space allows some of the raw wood to show through the burned area, helping to keep this area in a pale-tan tonal value. Black tonal value. My black tones were worked last by turning my temperature back to 6.5 and using a very slow motion with the tooltip. Again, I used a tightly packed short line stroke to fill the areas around the eyes, nostrils, and mouth. I now have a completed burning with little or no texture and no outlining or detailing. 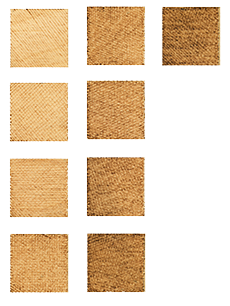 The entire pattern was worked by using only four burned tonal values and the white of the raw, unburned wood. 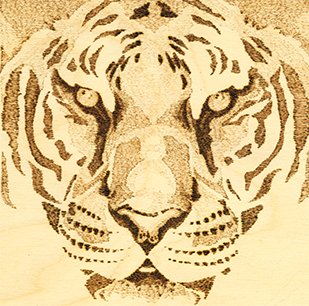 With tonal values alone I created a Bengal tiger’s face. The completed project has distinct tonal values from the white of the wood through the black tones surrounding the eyes. 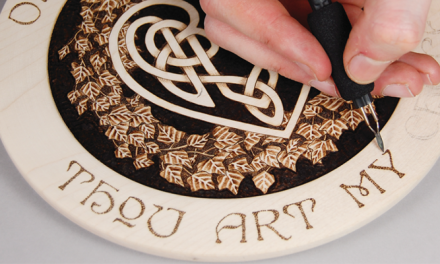 For more woodburning technique, exercises, designs, and patterns, get your copy of Lora Irish’s Little Book of Pyrography! 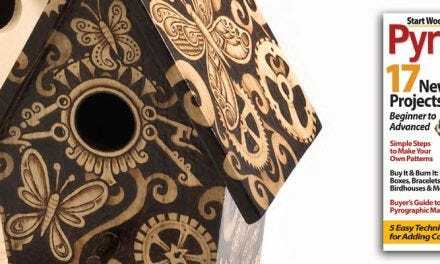 Little Book of Pyrography makes it easy to learn the creative craft of woodburning! 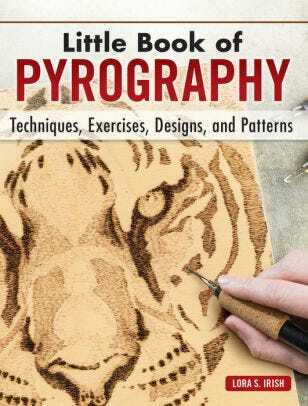 Perfect stocking stuffer or traveling on the go, this portable little hardcover book is a great reference for beginner pyrographers or those that want wood burning practice. 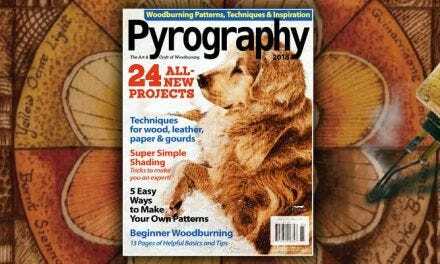 Lora walks you through 7 skill-building exercises to help you master essential wood burning techniques such as tip temperature, burn time, textures, layers of strokes, composition, and more. Lora provides a thorough introduction to basic tools, materials, and techniques. You’ll learn how to set up a practice board to experiment with strokes and settings before moving on to working projects with confidence!